If you have a pet, especially one that's been with you for more than a decade, you'll totally understand this layout about my love for my cat. Lucky is 14 years old and beginning to show the signs of her age. She was losing weight and I was worried. I'm happy to report the situation is returning to normal, thanks to her love of chicken breast. Now I prepare a meal for us and a small plate of chicken for Lucky. She will eat her cat food as well, and she is gaining some weight back. We're entering the stage where I am monitoring her health more closely and looking for any changes in her behavior. There are more "love"ly pages over at Practical Scrappers, 14 to be exact, since Valentine's Day is on February 14th. And no one else chose their pet as the subject, go figure! oh I love this! she is so sweet! 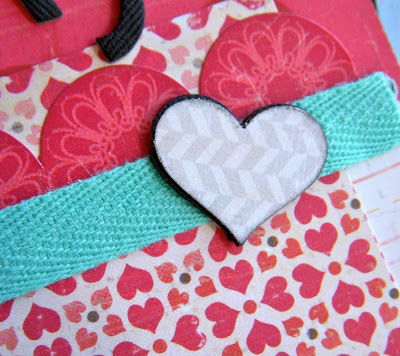 Love the color mixing of Thickers with you title! That is a really great photo of her. Totally understand! So glad that Lucky is gaining weight and getting back to normal. A darling photo and I love your color combo! So sweet!! What a cute page and adorable cat. Stunning page! Glad to hear Lucky is doing well. We've been having health concerns with our 11 year old German Shepherd, but with additional meds and supplements, she's doing better. Adorable photo! Great layout-and I totally understand! My two shih-zus are my heart. I make their food everyday because one of them became ill with kidney failure and a natural diet was the only thing that seemed to work. They are my family. I've got to agree with the other ladies here... I've just lost my 18yr old ragdoll who at 14 was losing weight and was generally unwell - thanks to our vet's advice back then, our kitty was put on chicken breast and special renal food brought only from the vet, and so thankful lived another four years, he began to climb trees again (he could always get up but we had to always get him down!) and we had our much loved well cat back. Its all about the kidney care. So glad you kitty is doing better! I LOVE it all! The picture is precious and your LO is beautiful. Glad your kitty is doing better. Beautiful layout and adorable adorable picture! Yes, we had a cat we got when I was eleven and he stayed in the family until long after I married and left home. I know how you feel! 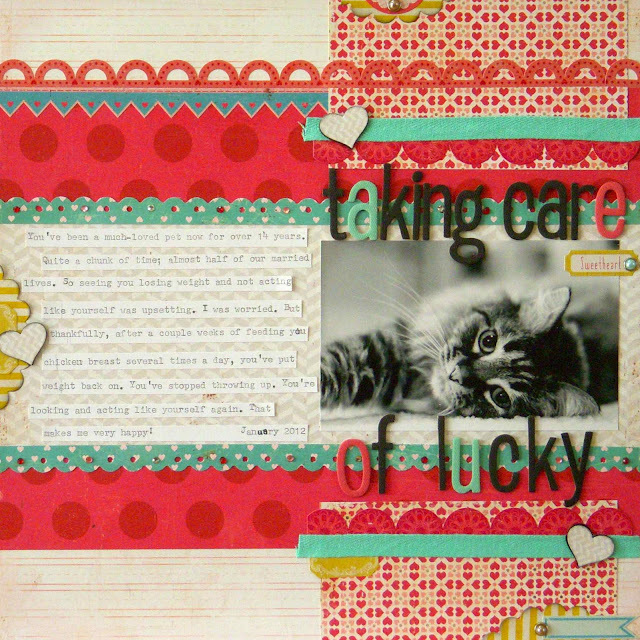 Beautiful layout and journaling Sue, thanks for sharing! Ah, what a precious cat! Awesome layout - I love the typed journaling strips. I grew up in a house full of animals so I can totally relate. Pets are family too! Hope she keeps getting better. Hi Sue- thanks for swinging by my blog. I have to agree with you on your comment- I've only been married 3 years but after the baby was born a night of sitting on a couch and watching a movie all the way through with no interruptions seems like the most exciting thing ever. 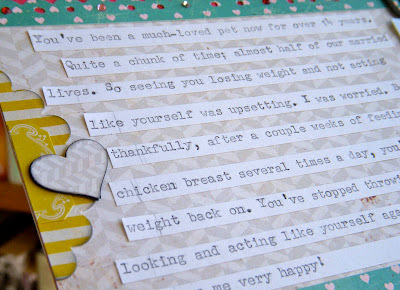 :) This is a beautiful page- the subject is so touching and I love your photo as well. Ahhhh...so sweet. I have Miss Maxx who is 10 so I totally understand. Love the layout! I have a very soft spot for cats......I have 3 of them. I love them all and would be so sad if they were not well. Love your layout and glad to hear that Lucky is feeling better. Your LO is lovely!! And I totally get you, I've had my cat for 5 months and love it si much already, I can't imagine losing it after 24 years! I hope Lucky is gettn really better!